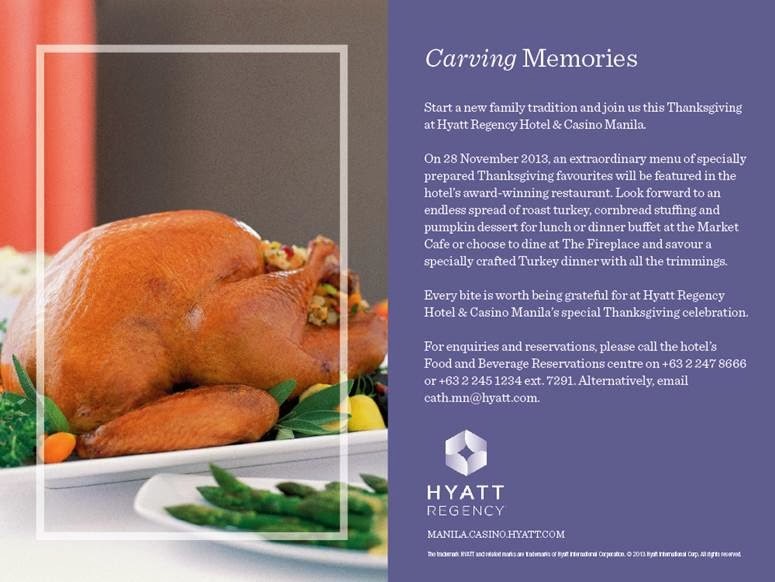 Hyatt Regency Hotel in Manila invites everyone to its Thanksgiving celebration on November 28 and partake of the specially prepared Thanksgiving Menu at The Market Cafe. 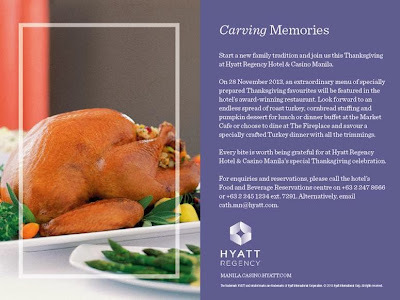 For inquiries and reservations please call: +632-2478666 ext. 7291.